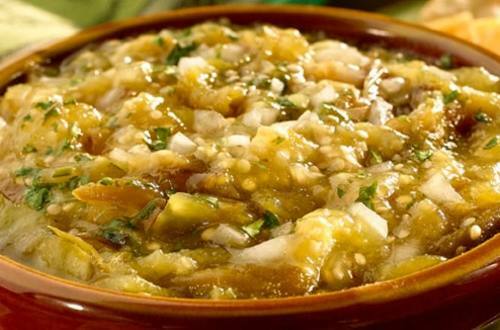 1 Process all ingredients except water and onion in a blender or food processor, thinning with water to desired salsa consistency. Add reserved pepper seeds to taste. Combine puree and onion in a small serving bowl.